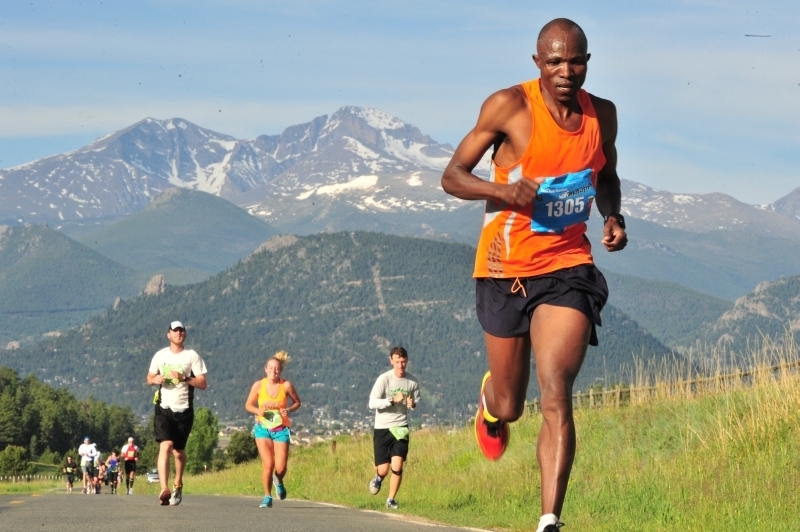 The Estes Park Half Marathon is Colorado’s most scenic 13.1 mile race you can find! 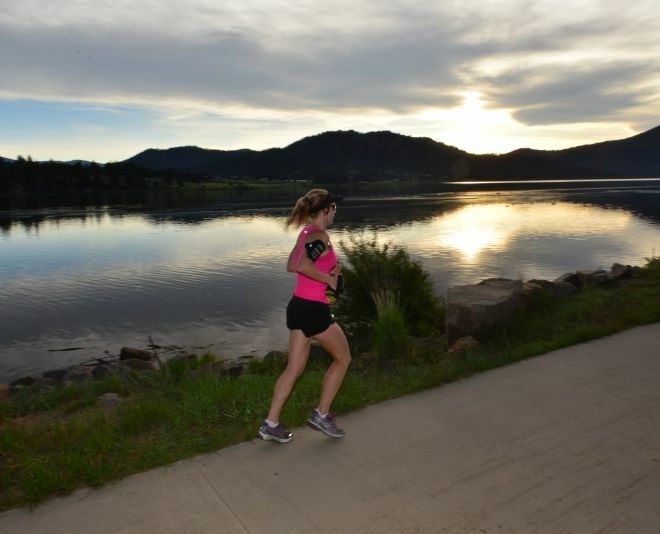 Our course is shared with our marathon route and awarded by Colorado Runner magazine as “most scenic” for 2012. 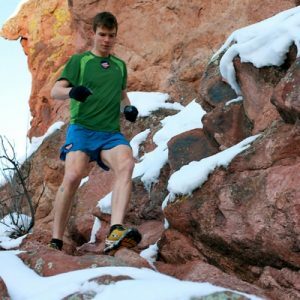 The Estes Park Half Marathon is the first of three races in the COLORADO MOUNTAIN HALF SERIES, which benefits local youth programs. 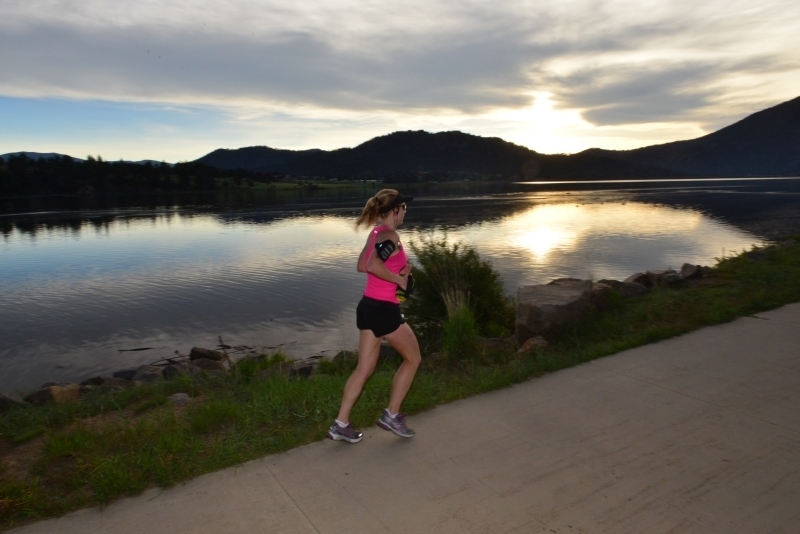 Enjoy the scenic 1500 ft descending course that takes you around Lake Estes and finishes at the Estes Park High School track. 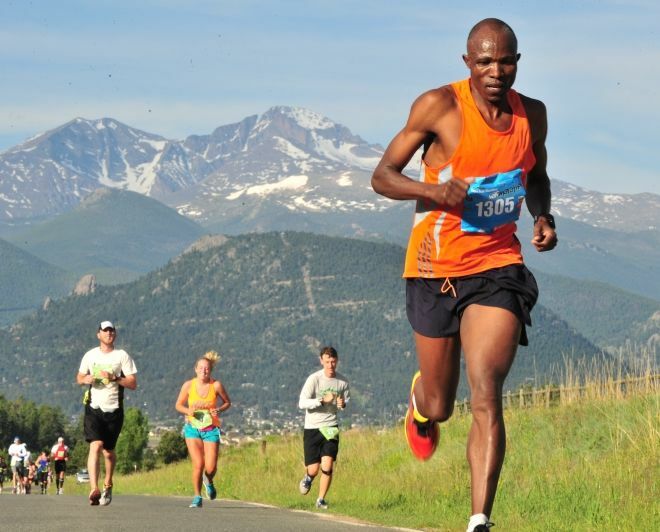 Participants will see views of the Estes Park valley, Long’s Peak, the Continental Divide and run along boundary areas of Rocky Mountain National Park. The half marathon is a competitive race, as well as welcoming to the fitness runner. Come and find out why participants continue to return and experience Colorado’s favorite! Start location: Dao House, on CO Highway 7, lower parking lot. 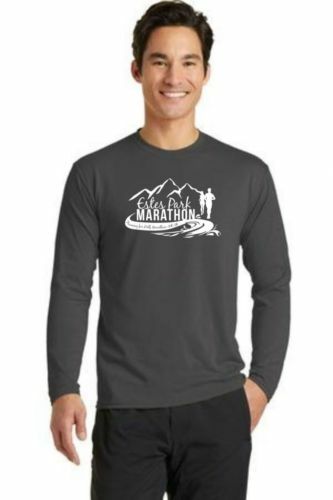 Transportation: ALL Runner’s must use the School Busses, Estes Park Trolley or Rocky Mountain Transit busses to be transported to the start line, beginning at 4:30AM and final departure 5:30AM from the Estes Park High School (race registration & packet pick-up location). Runners may be dropped off by private vehicle at the Dao House, but cars are NOT allowed to remain on property once the races begin. We thank you for your cooperation! Runners who arrive early to the Dao House, may stay indoors at lobby. Coffee and restrooms will be provided. Start Line Support: Early arrival Runners will be welcomed by the Dao House with coffee, warm lobby and restrooms. Gear drop off will be provided to those wanting to leave items and can be retrieved at the finish line. Half Marathon Aid Stations or Water Stations: Provided approximately every 2 miles. Beginning at MM4, Aid stations will provide VFuel gels, Honey Stinger waffles or chews, & Gatorade. Water stations will provide water and Gatorade. Public Restrooms & Porta Potties: Porta Potties are located at all Aid Stations and Public Restrooms are located around the Lake Estes Trail. See printable course map. 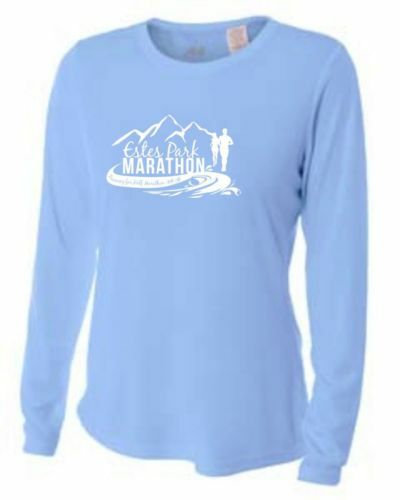 Packet Pick-Up is available Saturday, 8:00am- 5:00pm or Sunday, starting at 4:30AM at registration. Half marathon awards: Available to be picked up at the finish line award’s table. The awards table will be located on the field. There wont be an awards ceremony, but we congratulate our top finishers in advance! If you know that you will not pick up your award at the finish line, please let us know and pay $5 at registration for shipping/handling. Thank you! All four races end at the Estes Park Track and Field (elevation 7,550 feet). The courses take place on dirt road shoulders, dirt trail (Fish Creek Trail) and paved pathways. All courses offer spectacular mountain views! The course is marked with directional arrows on the roads and trails, as well as yellow directional signs. In critical spots there will also be course marshals. The Estes Park Half Marathon course starts at the Dao House, on CO Highway 7. Runners will line up at the lower parking lot, next to the pond. Runners will enter northbound Hwy 7 and descend the very scenic route to Fish Creek Road (FCR). Turning Right onto FCR, runners will pass the second aid station and first Porta-Potty at mile 4. Continuing down FCR, runners will descend a total of 1500 ft to Brodie Ave. Runners will turn left and take an immediate right to enter the Lake Estes Trail (paved with some dirt shoulder room). Passing the Dog Park and thru the pedestrian tunnel, runners will go clockwise around Lake Estes, up Mall Road and down the path that parallels the cause-way. Runners will turn left into the pedestrian tunnel and continue following the Lake Estes Trail to Brodie Ave. Turning right up the short climb on Brodie Ave, runners will enter the Estes Park High School Track, and finish with a 300m lap to the finish line in front of BOBCAT STADIUM! All our courses are well marked with Green, Red and Yellow arrows, guiding you at each intersection turn. Road marshals are positioned throughout the courses for additional support.